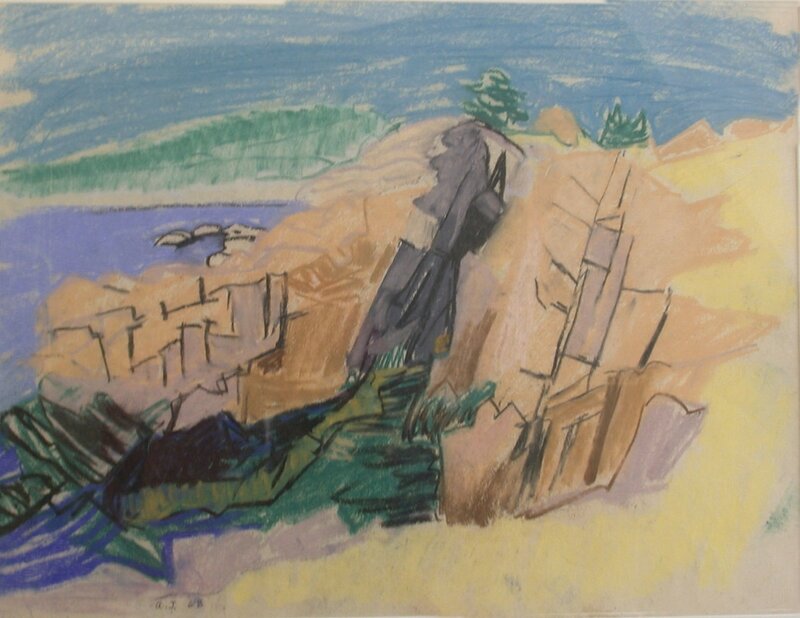 mature full-blown colorist work in oil pastel in the sixties, creating scenes of his home in Sorrento, Maine, and the nearby shoreline of Schoodic Point and Mount Desert Island. 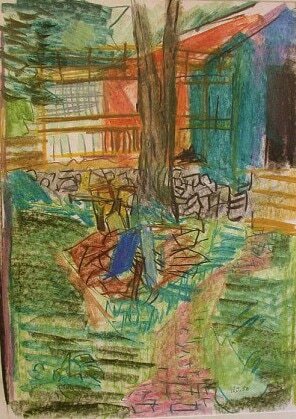 Four exhibitions of his work arranged by the University of Maine in Orono have made his name synonymous with the expansion of crayon and pastel strokes into heroic size drawings. a cue from the father of Modernism, Cézanne. For an extended view of Arthur Thompson's career, click the links below.